(3) 55" pontoon boat lounge seats. (1) 28" pontoon boat corner seat with cup holders. (1) 38" pontoon boat bench seat. (1) Pontoon boat bucket seat w/ pedestal. (2) Right side pontoon boat seat arms with cup holders. (1) Left side pontoon boat seat arm with cup holders. 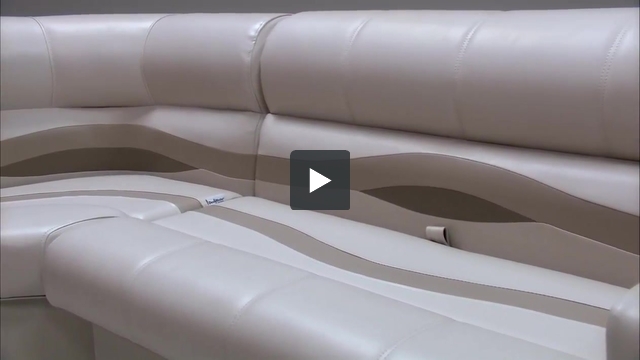 These pontoon boat seats make up our Premium PG1558 pontoon furniture set. I ordered samples of the burgandy and cream materials. The burgandy is fine, but the creme is too dark to match the lighter color on the seats that I won't be replacing. Can your seats be ordered in burgandy and white instead of burgandy and creme? 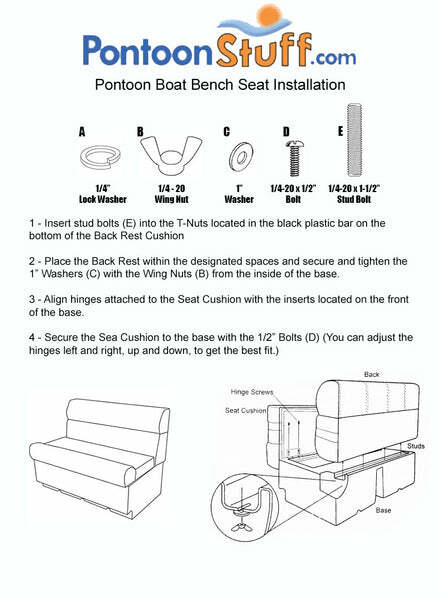 Unfortuantely, we cannot do customer colors of the Pontoon Boat Seats (PG1558). I do apologize for this inconvenience. What dimensions are the seats? I would like to see the dimensions of everything to see if this will fit our pontoon boat.